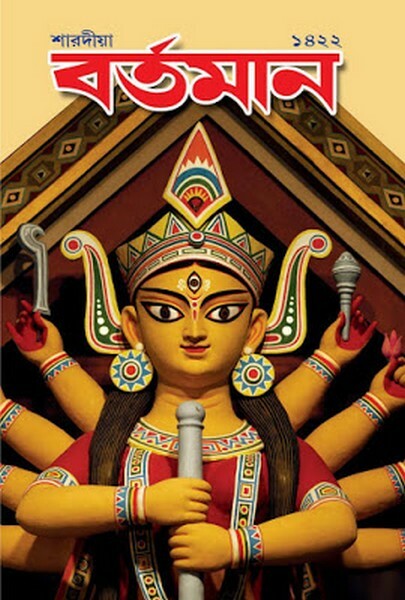 Sharadia Bartaman 1422 (2015) is a special edition on Durga puja festival. Published by Bartaman patrika from Kolkata. Its cover stories are Special Article by Sanjeev Chatterjee, Myths by Nrsinhaprasada Bhaduri, Bibhutibhushan Mukherjee's unpublished correspondence, Many novels by multi writers etc. View or Read this Patrika.